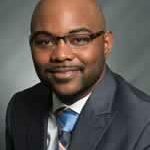 Ashton Ridley is the Manager of Multicultural Affairs at the College of Southern Nevada. In his current role he is responsible for conceptualizing, planning and execute day to day programming designed to promote diversity, inclusion and cultural awareness within the college. While overseeing the diversity-related activities of internal college committees that recognize military and veterans, LGBTQ, DACA, first generation, international, and multicultural students. Previously Mr. Ridley was the assistant program coordinator, information technology manager, and membership coordinator for public radio KCEP 88.1 FM. In these various positions, he coordinated and oversaw public service events, managed computer systems, taught and implemented proper broadcasting strategies and techniques to staff.